What kid doesn’t love Halloween? Costumes, decorations and free candy… So much free candy! Let’s do our best to keep Halloween fun for everyone by following a few simple rules. When picking a costume for your child, try to steer clear of masks. I they have to wear a mask, make sure they can see clearly out of it. Also check for tripping hazards; make sure the costume isn’t too long. 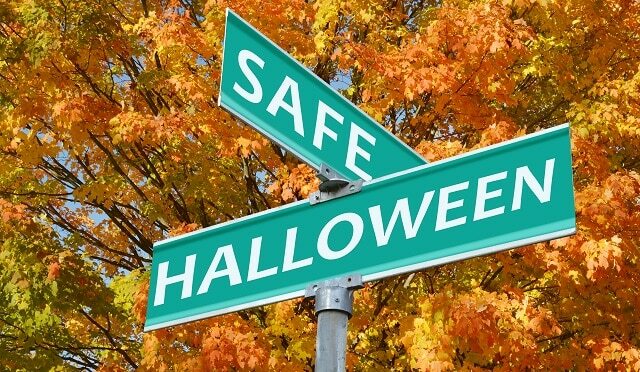 Before leaving the house make sure that your children have either reflective tape on their costume or they’re carrying a glow stick or a flashlight. This will help motorists spot them. It’s estimated that children are twice as likely to get injured by a motor vehicle on Halloween, so make sure they’re visible to motorists. Be clear that they need to stay out of the streets and only cross at crosswalks. Always make eye contact with motorists before beginning to cross. As for motorists, be alert! Be especially alert in a suburban area. You should never be driving distracted, so I know you won’t be on your phone, right? Slow down and be super cautious. A parent should be going with younger children. 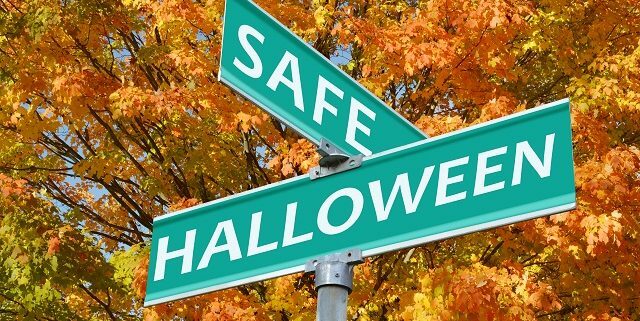 If your children are older and are going on their own, make sure you have a planned-out route where they’re trick-or-treating, a charged cell phone, and a time to be home. While trick-or-treating, make sure to only go to homes with the porch light on. Ensure that your children know that they should never, under any circumstances enter the home of a stranger. And snacking is a no-no. All candy and treats need to be inspected by a trusted adult (this trusted adult will make sure you’re candy is super safe and probably confiscate all your Reese’s #parenthack) Send your monsters out with a little bag of candy from home they can munch on, hopefully this will deter them from sampling their Halloween loot. Halloween is supposed to be scary, as in ghouls and ghosts…… Not pedestrian accidents and tainted candy. Make sure to play it safe this year and follow these rules.